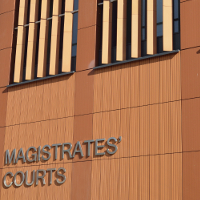 Security services company Capital UK Services Ltd, and directors Judith Wanyoike and Stephen Mungai, have been sentenced at Nottingham Magistrates for supplying unlicensed security guards. The court heard that Capital UK Services Ltd provided eleven security operatives who were unlicensed, had no right to work in the UK or had expired licences on two occasions. The first was between August 2013 and February 2014 when operatives were deployed on a contract worth about £2.2million. The second instance was between October 2013 and March 2014. At a hearing in July 2015 Mungai plead guilty to supplying unlicensed guards, a Section 5 offence under the Private Security Industry Act (PSIA) 2001. As a director he was also found guilty of consent or neglect for employing unlicensed guards, a Section 23 PSIA (2001) offence. He received a community service order of 250 unpaid hours work concurrent for both offences and was ordered to pay £12,000 in costs. Wanyoike also plead guilty in July 2015 to supplying unlicensed security operatives, a Section 5 offence and as director was guilty of a Section 23 offence under the PSIA (2001). She was also charged with a Section 19 offence; failing to supply information relating to an investigation and for providing false information; a Section 22 PSIA (2001) offence. Wanyoike received a community service order of 100 unpaid hours work ordered to pay £6,000 in costs and was disqualified as a company director for 5 years. The company, which is now insolvent, received a nominal fine of £1.00. The SIA prosecution team also applied for this case to be transferred to Nottingham Crown Court for consideration under the Proceeds of Crime Act (POCA) and a confiscation order. This was successful and £206,370 was confiscated. The Judge stated that the POCA confiscation reflected the role each director played in the company. Consequently, Mungai was ordered to pay £172,370 and Wanyoike was ordered to pay £34,000. Both have been given 3 months to pay the figure in full. The judge also ordered that if Mungai and Wanyoike failed to pay the full amount, Mungai would receive a default prison sentence of 2 years and Wanyoike 9 months. Michael Bryan, SIA Investigations officer commented that: “The SIA is pleased with the sentencing and Proceeds of Crime Act (POCA) ruling in this case. This strong conviction and POCA confiscation order highlights that security industry regulation exists to protect the general public and businesses who use contracted security services. The regulation also ensures the effectiveness of security businesses that operate within the industry. “The SIA robustly regulates the Security Industry and will seek to prosecute those who chose to ignore the legislation in place”.